SCALPED, the hit new comic-book series from DC Comics/Vertigo, is full of negative Native stereotypes. So says Rob Schmidt, a leading critic of Native American-themed works. "SCALPED is reasonably entertaining as a Sopranos-style crime drama," says Schmidt, the publisher of Blue Corn Comics. "As a genuine look at reservation life, it's a grotesque distortion of reality—almost a pure fiction. I'll venture to say that no reservation, not even Pine Ridge in the '70s, was ever this bad. "Writer Jason Aaron is kidding himself if he thinks people will learn about Indians from SCALPED. What they'll learn is that Indians are criminals, thugs, and lowlifes. In other words, that they're just as savage and uncivilized as they ever were. What a charming message that is." Schmidt is a leading critic of movies, TV shows, comic books, and cartoons that stereotype Native Americans. He has noted the flaws in such works as Apocalypto and Pirates of the Caribbean, The Simpsons and The Sopranos, and the Zagar and Steve beer commercials. He publishes his critiques in his Indian Comics Irregular newsletter and on his Newspaper Rock blog. "In the 21st century, it's amazing that offensive and insulting Native stereotypes still appear in the media," says Schmidt. "The Maya as bloodthirsty killers. Caribbean Indians as cannibals. And now we have SCALPED's parody of a reservation as a hotbed of corruption, greed, and violence." 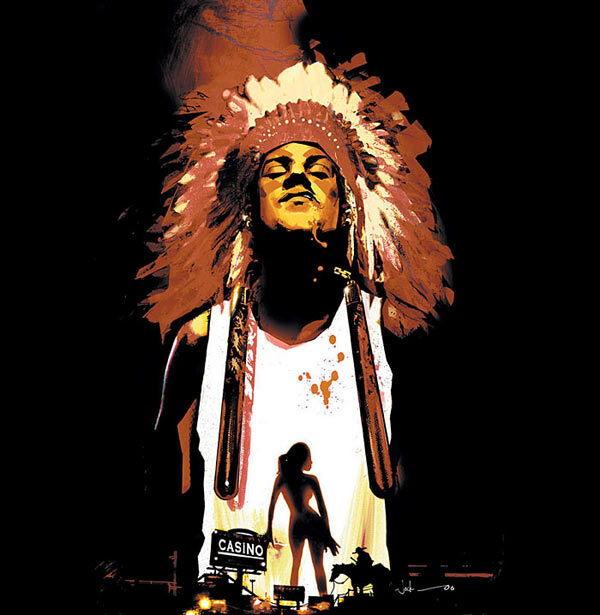 To read Schmidt's full review of SCALPED, go to SCALPED: Another Comic Book Gets Indians Wrong. To see his latest critiques and commentaries, head to Newspaper Rock, where Native America meets pop culture. To speak with Schmidt about SCALPED or other Native-themed works, please contact him.